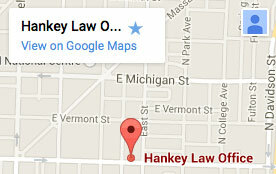 Hankey Law Office > Articles > Can Autism Prevent You From Working? Can Autism Prevent You From Working? Doctors and researchers are now recognizing that autism and autism spectrum disorders are surprisingly prevalent. The Mayo Clinic estimates that three to six per every 1,000 American children have an autism spectrum disorder, and the researchers there believe that this number is actually rising. One problem with autism is that it can impair your ability to function in a social setting, which can prevent you from working. Sadly, medical professionals do not yet know what causes autism, or how to cure someone of this problem. In some cases, the symptoms caused by autism can inhibit you from working and earning income towards the quality of life that you deserve. Thus, you may be able to prove to the Social Security Administration that you are eligible for disability coverage for your autism. To help you with your application, contact a knowledgeable Indiana long-term disability lawyer from Hankey Law Office, today at (800) 520-3633. The Social Security Administration, or SSA, has compiled a Listing of Impairments which provides a detailed list of disorders that may contribute to disability. Autistic disorders are included on this list. Autism spectrum disorders can be considered a disability if they cause a person to struggle with communication, imagination, and social interaction. Additionally, this may cause restriction in normal daily living or problems with concentration. Because of the ways that autism spectrum disorders can disrupt a person’s social skills, it can be difficult for an autistic person to maintain work relationships as well as complete assigned tasks. Thus, if you have autism, you may struggle with earning the money necessary to pay for basic needs such as food, clothing, and shelter. If you believe that your autism is a disability but need help proving this to the SSA, contact an Indiana long-term disability attorney from the Hankey Law Office, at (800) 520-3633 today.